the earliest timeperiod of 1492-1546 is not included, even when Africans are known to have been numerous among the earliest Spanish settlers in Hispaniola, not all of them slaves either as they sometimes were also indentured servants with freed status. Most being socalled Ladino’s, having been enslaved in Iberia previously or even often born in either Spain or Portugal. It is known from the earliest slave trade patterns that they actually would be even more so Upper Guinean and more specifically Senegambian. Aside from Cape Verde also Arguin, in Mauritania, being a very significant slave outlet at that time for Iberian slave traders. the sample size is very small, considering the estimated size of the slave population during that period. Although the historical estimations are quite wildranging at times. The African presence in Hispaniola underwent many changes in a relatively short timespan during the 1500’s. It was literally a continuous coming and going. First of all there was a very high degree of socalled maroonage, runaway slaves forming their own communities all over the island. Plus many slaves were re-exported to other Spanish colonies or were taken along with settlers who were abandoning Hispaniola in favour of the more promising riches of Mexico & Peru starting from the 1520’s. Plus especially in the gold mines and sugar plantations there was a very high turnover of slaves because of elavated mortality. Also from the start there was a high occurence of racial admixture between both Africans and Spaniards as well as Africans with Amerindians. All of which makes it tricky to determine the exact African ethnic composition of the Dominican population at that time. This map below (click to enlarge) features the same ethnonyms used for Dominican slaves (“casta” or “nacion” in Spanish) as also listed by Alonso de Sandoval, a Spanish Jesuit who wrote one of the earliest books on African slavery in the Americas “De Instauranda Aethiopum Salute” (1627). 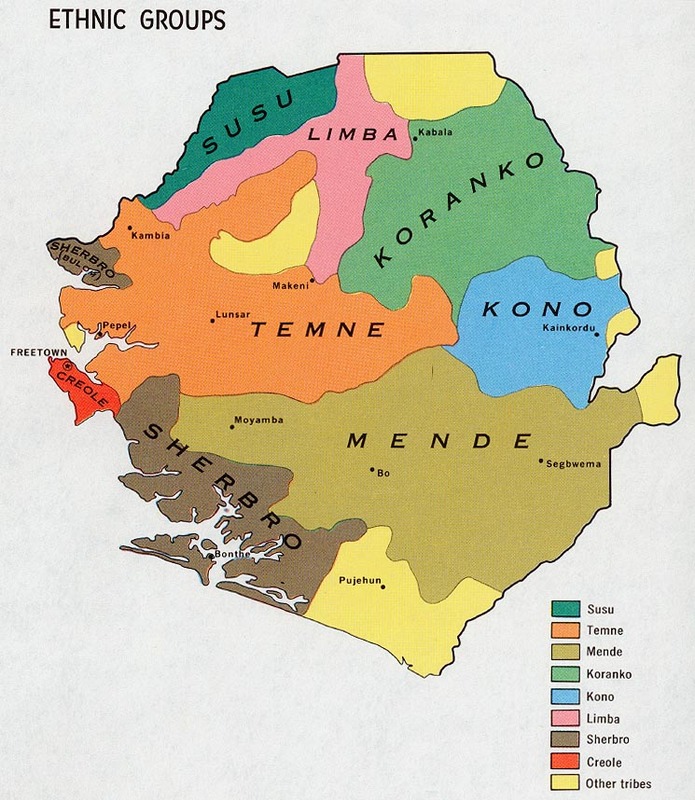 Ethno-linguistical & historical maps from Upper Guinea, Lower Guinea and Central Africa. 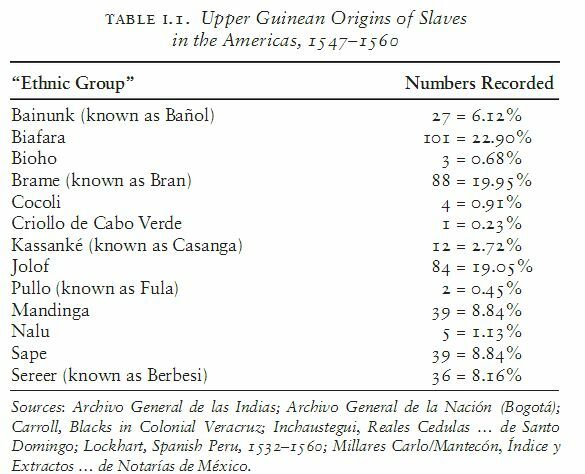 The following charts are in support of Upper Guinean slave trade patterns being predominant throughout the Spanish Americas up till the 1590’s or so. This projection below could be very valid especially for the Dominican Republic as most of the earliest slave importations to the Americas went to Hispaniola. It shows an overall Upper Guinean contribution of about 80% (Senegambia+ Guinea Bissau +Sierra Leone). Not surprisingly then that the first ever slave rebellion (1522), anywhere in the Americas, was lead by a group of 20 or so Wolof slaves. They were from a sugar plantion located in presentday Dominican Republic owned by the son of Christopher Colombus. It is often remarked by historians that subsequently a ban on the importation of Wolof and especially muslim slaves was proclaimed by the Spaniards. However this seems to have been mostly just a paper tiger (as so many royal edicts of that time). There is documented evidence of continued Wolof presence in other parts of the Spanish Empire up till the mid 1600’s (Cuba, Colombia & Peru). Their numbers did decrease considerably but this relative decline was probably caused more so by developments taking place in Senegal itself (less warfare and increasing trade with France/England instead of Portugal). The slave trade to Cartagena (Colombia) is much better documented than for Santo Domingo because in this period Cartagena was serving as an official entry point of African slaves into the Spanish Americas (along with Veracruz and at times also Buenos Aires). The Dominican Republic got cut off from the main Spanish trading routes which contributed a great deal to its economic decline in the late 1500’s/1600’s. In the next section i will show more data about slave trade estimates for Santo Domingo. However for now we can establish that especially during the 1570’s-1590’s the slave imports into Cartagena were overwhelmingly coming from Upper Guinea and there’s high chances the same pattern would hold true for Hispaniola. In later decades a socalled “Angolan Wave” became much more noticeable, even though this new source of slaves was less dominant for Cartagena as it was for Veracruz (Mexico). We don’t know yet if Santo Domingo was more like either Veracruz or Cartagena in this respect or somewhere in between. However we do know that the Dominican economy was in sharp decline in the early 1600’s and therefore the volume of slave trade must have decreased strongly. These charts below are based on data collected from historical source pertaining to Colombia, the Dominican Republic, Mexico and Peru. 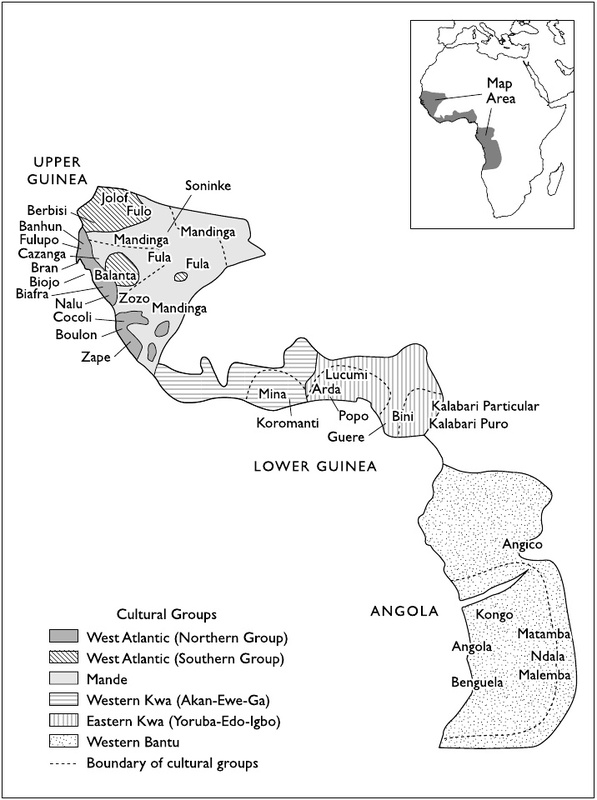 The focus is solely on Upper Guinean origins and excluding all other African origins. They’re taken from a great book dealing with early slave trade from Upper Guinea to the Spanish Americas and especially the modernday Dominican Republic: “The Rise of the Trans-Atlantic Slave Trade in Western Africa, 1300–1589” (Toby Green, 2012). The most frequently mentioned ethnic groups (Zape, Brame & Biafara) are practically the same as in Deive’s overview! Providing some sort of independent confirmation i suppose. This is a very special and valuable slave register given that only a few of its kind have survived. Probably many more were around in those times though proving that Europeans were not always oblivious to African ethnicity. There are many remarkable aspects on display but for the purpose of this blogpost what stands out is that the top 3, consisting of Bram and Biafara (from Guinea Bissau) and the “Çape” (Zape) from Sierra Leone is again the same as reported by Deive for the Dominican Republic in between 1547-1606! The sheer diversity of ethnic groups (17) on this one single slave ship is quite astonishing but it was probably standard for the Upper Guinean captives being brought over from Cape Verde to the Hispanic Americas, incl. the Dominican Republic. Almost all of them also appearing in the previous charts i’ve shown above. Just to comment quickly on some of them, they are truely covering the full extent of Upper Guinea as there is one “Argui” possibly from Arguin/Mauritania and also 2 “Gelofes” a.k.a. Wolof from Senegal as well as surprisingly many female Zape from Sierra Leone. The most intriguing ethnonym is probably the “Lemba”, because this is the very same name used for the most famous Maroon leader of Hispaniola: Sebastian Lemba! It is often assumed he would be of Central African origin given that the name Lemba might appear Bantu derived. Sometimes a connection is made with the Lemba people from Zimbabwe/South Africa, but that seems highly unlikely given the known reach of interior slave trade at that time. It’s probably just a pure coincidence that the names should be the same. There is however also a slave ethnonym “Malemba” which appears not very often but is mentioned by Alonso Sandoval in 1627 (see map above), he describes them as a Central African group exported from Angola. However this ethnonym seems to always be preceded by “Ma”. In this case we have a slaveship departing from Cape Verde, so there can be no doubt the 10 “Lemba” men and women in question are Upper Guinean and in fact Sandoval also described the “Limba” from Sierra Leone, as being one of the many Zape subgroups. Of course in our present day there is still an ethnic group in Sierra Leone called the Limba! (see also this map). Going from Limba to Lemba doesn’t seem that farfetched so could it be that the celebrated Maroon leader Sebastian Lemba was actually from Upper Guinea? The greater majority of Dominican population was racially mixed and no longer enslaved in the 1700’s and their African origins would date mostly therefore from the 1500’s/1600’s. Only very approximate estimates of the slave population are known from contemporary reports, but they seem to vary around about 20% of total Dominican population. Only slaves from the city of Santo Domingo and direct surroundings are included. 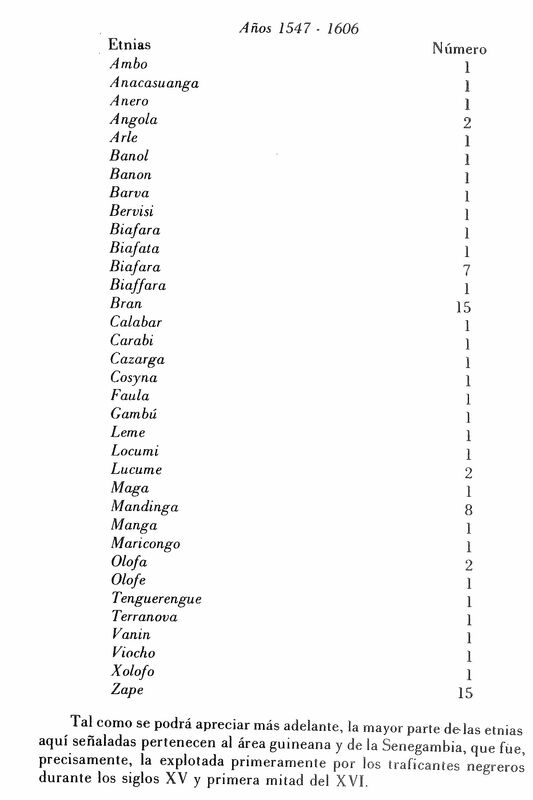 Slaves from the rural interior, or other cities in the north (Cibao) as well as any Maroons are therefore not per se represented by this data. Ethnonyms used for slaves seem to have been less detailed in the 1700’s than in the 1500’s. Especially the most frequently used label “Guinea” being rather generic. Practically all of these slaves seem to have been locally born or at least did not have their African origins specified (99,5%!). Which means that actually a deviating pattern of most frequent ethnic origins could still be possible. All of these caveats do not take away of course from the fact that Rivas (2008) collected very fascinating and informative data. It’s interesting to note that the documented ethnic origins seem to be spread out across Western and Central Africa in a much more balanced manner than in the 1500’s. At the same time the actual number of ethnic/regional labels being used seems to have decreased possibly because Dominican slaves were overwhelmingly locally born and therefore there was less attention for ethnic specification by church officials. Compare for example with the much more detailed slave ethnicity data recorded for Antigua: Antigua’s African Origins According To Moravian Church Records. It also includes 5 entries of “Lemba”! What perhaps stands out the most on first sight for the Dominican data is the high degree of Central African origins, especially “Congo” + “Angola” but with some minor frequency also “Luanda” and “Mondongo”. Equally important however seem to be the Lower Guinean origins (mainly from Ghana, Benin and Nigeria) denoted by “Guinea”, “Calabar”, “Mina”, “Arara”, “Nago”, “Popo”, “Chamba” and “Borneo” possibly referring to the northeast Nigerian emirate of Borno. Providing testimony of the increased interior reach of slave trade at this time. I’m assuming the blanket term “Guinea” is used similarly to the interpretation by Northern Europeans around this time as they were the chief suppliers of African slaves in this period (see also the “Lower Guinea” page) and it’s in line with their main slave trading patterns. Upper Guinean origins seem to have become less frequent compared with the 1500’s however they are still quite present as measured by the “Mandinga”, “Bram” and “Bambara” (most likely from western Mali). According to Rivas the term “Boruco” would have been a synonym of “Bozal” that is an African born slave without specifying any regional/ethnic origins (Rivas, 2008, p.253). However i received a very valuable comment (see also bottom of page) suggesting that instead “Boruco” is referring to the Baoruco mountains in the southwestern part of the D.R. where many Maroons are known to have found refuge. It seems a much more plausible explanation indeed! A similar pattern of Central African and Lower Guinean predominance but with continued Upper Guinean presence was also found by Deive (1980), his samplesize is much less numerous than Rivas (2008) though and also including the 1600’s. It features one “Malemba” person. A perhaps surprising finding by Rivas (2008) – given the relatively late timeperiod of the 1700’s – is the continued appearance of “Angola’s”, “Luanda’s” and the “Bram” from Guinea Bissau. It’s known that African captives with these origins were transported by Portuguese slavers to the Dominican Republic especially in the 1500’s and 1600’s but not longer in the 1700’s as their Asiento rights were taken over by the Dutch and English instead. I’m guessing it’s possible that some of the mentions are referring to the early 1700’s as there was a very brief renewed Asiento granted to the Portuguese from 1695-1701. However it is also known that Dominican slave owners were usually not able to buy slaves via official channels as they were lacking hard currency and had to rely on barter and contraband instead. Another possibility is that these ethnonyms perhaps were inherited by locally born slaves from their African born parents, grandparents or even greatgrandparents, and in this way a bit misleading as they could be second or even third generation locally born and likely to be mixed also with other ethnic origins by this time. 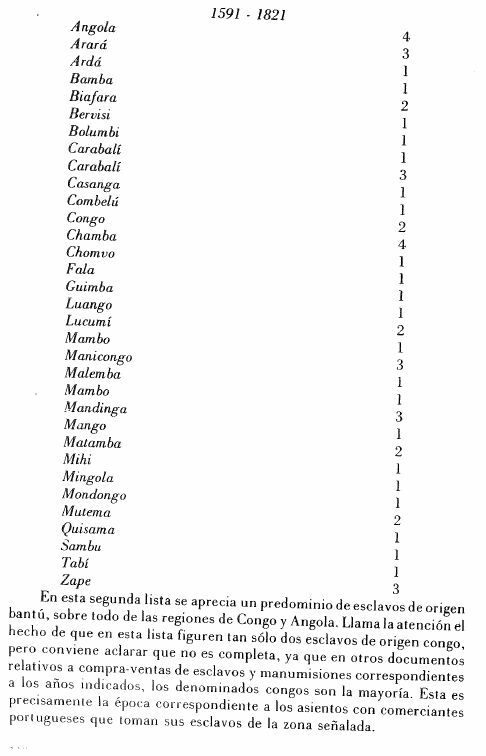 In Colombia and Ecuador this custom of using African ethnonyms, like “Carabali” as surname has survived into the modern era, it seems to also have been prevalent in the Dominican Republic at least in the 1600’s/1700’s as seen by these screenshots from Deive (1980, pp.237-238). Sebastiana Carabali, Pedro Alcantara Zape and Maria del Carmen Mondongo all having inherited their African ethnonym surname from their parents even when born locally in the presentday Dominican Republic. Much early shipping documentation for Santo Domingo has been lost because most of its historical archives were destroyed by pirates (Francis Drake!) or misplaced later during the chaos of French/Haitian occupation. Also in Portugal/Cape Verde many precious early records from the 1500’s have been lost due again to pirate attacks (sir Drake ravaged the former capital of Cape Verde too) and also the devastating Lisbon earthquake of 1755. During the late 1600’s/1700’s instead of direct slave voyages from Africa the Santo Domingo colony relied much more so on intercolonial trading via Curacao, Jamaica, Barbados and also overland via the French part of Hispaniola. These indirect slave imports are by definition not reported by the Slavevoyages database. In fact also the earliest importation of socalled Ladino slaves directly from Iberia is therefore not included in the database. To get an immediate clue as to how the above overview is highly incomplete just compare the total documented number of disembarked Africans being only 9,705 for the entire slave trade period (1525-1792 in the database) versus the 10,000-30,000 enslaved Africans estimated to have been present on Hispaniola already in the mid-1500’s (Deive, 1980)! If we consider only the documented numbers for the 1500’s present in the database, it’s barely 2,000! Featuring only 2 voyages sailing from Cape Verde. When according to contemporary reports actually several slave ships from Cape Verde were arriving in Santo Domingo each year (!) during the peak of the sugarboom in the 1550’s-1580’s. Pretty much the same pattern as in Cartagena during its early decades. Given the high turnover of slaves due to mortality, re-export and also the high amount of fleeing Maroons it’s fair to assume that to maintain such a slave population most likely a plural of 10,000-30,000 slave imports was needed. The 1600’s are generally considered to have been a disastrous century in Dominican history. Economic activities were in steep decline with the gold mines already depleted by the mid 1500’s and the sugar plantations being abandoned in favour of ranching (hato’s) and food crop production. Also given the widespread poverty of Dominican settlers slave importations would have been very subdued. But still some replacement demand must have existed (much of the slave population is reported to have been decimated by epidemics in the 1660’s). The deep recession of the Dominican economy seems to have lasted atleast till the mid 1700’s when slave imports would have been expanding again to keep up with production. Exact demographic data is hard to come by for the Santo Domingo colony, so much remains obscure. However for this later timeperiod we have another estimate of the total slave population being around 30,000 in 1785. A great majority of them could have been locally born actually (see also previous discussion based on Rivas (2008). Also already from the late 1600’s onwards the enslaved segment of the total Dominican population would be a minority of perhaps less than 20%, most people being (tri)racially mixed or freed blacks aside from the Spanish/Canarian settlers. 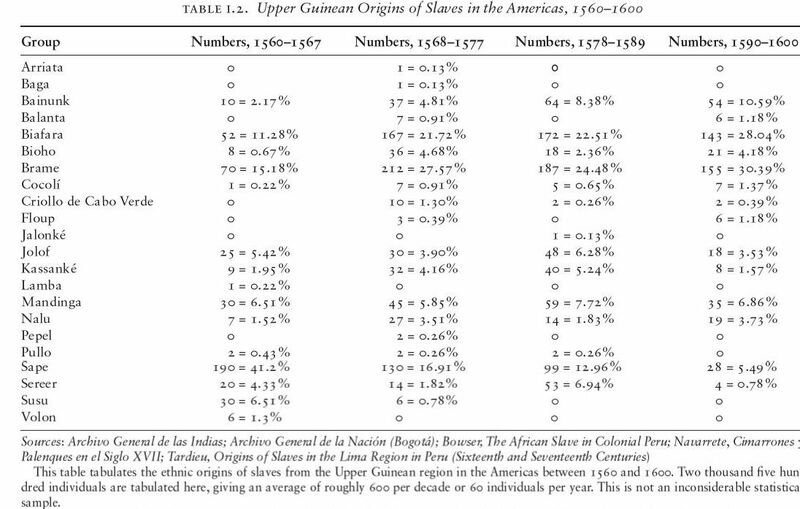 Still according to Curtin (1969) in the last 25 years of the 1700’s alone estimated slave imports could have been as high as 6,000. The period 1601-1675 is probably showing the best coverage. This might just be an historical “fluke” coincidence. The relative contribution of these voyages should not be taken as anything representative of generalized Dominican origins. Because it’s known that actually slave imports would have hit a historical low in the 1600’s compared with the 1500’s and late 1700’s. The high number of Angolan slave imports is still fascinating because it shows that the Dominican economy at that time had not completely crashed and was still depending on slave labour. The very last period in between 1776-1788 is also interesting because it shows a rather high proportion of imports from Upper Guinea and especially Liberia/Sierra Leone. Which goes to show that any ethnic/regional origin can still be traced to any given point of time within the entire slave trade period in individual cases. Even when statistically the odds will be much greater for Upper Guinean roots to be dating from the 1500’s. Same goes for the slave voyage from Ambriz (northern Angola) which shows that Angolan roots of Dominicans are not exclusively traceable to the early 1600’s, even when the great majority of it will be. Above quotations will conclude this overview of documented African origins for Dominicans. Even though this blog post turned out to be quite lengthy it’s not intended to be exhaustive or fully complete in any way. It’s just reflective of what i’m personally aware of and of course all interpretations are also subjective on my part 😉 Given the lamentable loss of historical documentation and also the very complex demographic evolution of the Dominican population it’s quite likely that the actual genetic legacy of all these surviving documented ethnic origins could be highly variable in individual cases and not always conforming to expectations. Future research will undoubtedly clarify this intriguing issue to a greater extent. For now personal DNA testing on 23andme and Ancestry.com already shows fascinating confirmation of many of the ethnic origins described above (see upcoming blog post). – Green, T. (2012). The Rise of the Trans-Atlantic Slave Trade in Western Africa, 1300–1589. – Guitar, L. (1998). Cultural Genesis: Relationships among Indians, Africans, and Spaniards in rural Hispaniola, first half of the sixteenth century. – Landers, J. (2002). The Central African Presence in Spanish Maroon Communities, in Linda M. Heywood, ed. Central Africans and Cultural Transformations in the American Diaspora, 227-242. – Wheat, D. (2010). A Luso-African Model for the Social History of the Spanish Caribbean, c. 1570-1640. Journal of Early Modern History,14, 119-150. This entry was posted in Cape Verde, Colombia, Cuba, Dominican Republic, Hispanic Americans, Runaway Slaves, Upper Guinea. Bookmark the permalink. “Dude this is some SUPER great information, i think with this evidence its nearly undeniable that Lemba would be a Limba and not a Malemba. Even though the Congolese had made it in the 1500s.. He was officially Sebastian Lemba and i think that this is the case. If his remains were ever buried which i doubt, it would be cool to do ADNA. 1. Boruco i believe represents maroons from the Baoruco mountains in the D.R. in the southwest, amongst which were many Mondongos. 2. There are a few Africans born in Guinea and with the surname Carabali and one Fula born in Guinea married in familysearch.org in D.R. 3. The contraband slave trade is VERY important and might be what ultimately makes the genetic picture look different from the importation picture, although the Upper Guinea dominance is in agreement with the AncestryDNA results we are seeing. Curacao and the Dutch were HUGE suppliers of contraband slaves to D.R, so whatever Curazao’s slave pattern is would have impacted D.R , i will get you the quote. Also some of the contraband would have been English, like i believe my Fula ancestor being that he’s so close genetically would have come in the late 1700s, exactly 1788-1789. The north of d.r was notorious for piracy trades/illegal contraband slaves with the English. Awesome research! I recently did the Family Tree DNA testing and I am dying to know more information about my ancestors and what slavery was like in the Dominican Republic.